The revaluation of the Iraqi dinar is ready to be implemented by the country's Central Bank; however, the Parliamentary Economic and Investment Commission has decided to postpone the revaluation to 2019. The plan is to eliminate zeros from the value of the Iraqi currency, allowing the dinar to gain value on the global market. With the anticipation of the Iraqi dinar revaluation, millions of dinars have been bought all over the world by investors. Those investors hope that the revaluation of the dinar will increase the value of the currency, which would make all of their dinars worth significantly more than when they bought them. However, revaluation continues to get postponed and is set for 2019 as the country faces the more pressing political issues. Re: When Will the Iraqi Dinar Be Revalued? Iraqi dinars are stacked at a teller's window in a Najaf bank. BAGHDAD -- The Iraqi Central Bank is planning to redenominate the national currency in an effort to ease transactions and allow people to carry less paper money, RFE/RL's Radio Free Iraq (RFI) reports. Mudhhir Muhammad Salih, a member of a Central Bank advisory panel, told RFI that a plan has been made to remove three zeros from the currency and phase out the current banknotes late this year. Salih said by the end of 2010 the new banknotes will be fully introduced while the old banknotes will be gradually removed from circulation. He did not specify when the new notes would be issued. Economic analyst Hilal al-Tahhan told RFI that the bank's move is overdue. He said he expects the currency change to go smoothly because of the decision to allow both the old and new banknotes to coexist, leading to less turbulence in the economy. The current exchange rate is 1,167 Iraqi dinars to the U.S. dollar. The denomination of the Iraqi currency reached its final stages as the study and draft resolution reached the Cabinet after being sent by Iraq Central Bank. Iraq Central Bank said that it won’t only delete the zeros but it will also change Iraq monetary structure in order to provide bigger currencies. According to this project coins will appear again in the Iraqi currency, as for the banknotes the Central Bank will recourse to international institutions to print them. The new currency will be printed in 3 languages including the Kurdish and it will include pictures that represent the Iraqi civilization. Since a while Central Bank tries to pass this project. The Central Bank stresses that this change will not affect the buying capacity of the Iraqi dinar and its influence is only restricted on the organizational things and it aims to decrease the huge volume of currencies in Iraq. 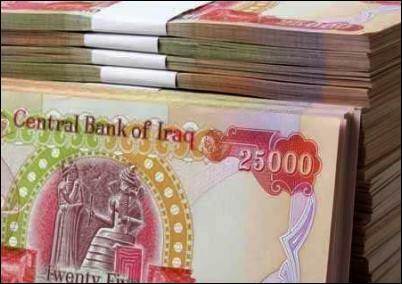 BAGHDAD,— A rumor circulating regarding the removal of zeros from the Iraqi Dinar (ID) is false. Najiba Najib, a member of parliament (MP) from Iraq’s finance committee, recently clarified that there is no such plan in the Iraqi Parliament. An economic expert believes that the zeros will not be removed from the Iraqi currency because the Iraqi budget is highly dependent on oil revenue. “There is no draft law in parliament about removing zeros from the Iraqi currency,” Najib said. Najib further explained that the reason the removal of zeros from the Iraqi currency has been delayed is due to the difficulty of controlling the currency during the crisis Iraq is currently experiencing regarding the exchange of 35 trillion ID in the bazaar. The federal government does not trust the central bank to be capable of carrying out this process successfully. Another MP from the finance committee, Abdul-Hussein Yassri, said that removing zeros from the ID will increase the value of the currency. In recent years, there was a draft law prepared by the previous head of the central bank for ID to be written in both Arabic and Kurdish languages, as well as using other signs representative of minorities in Iraq. But due to disagreement with the federal government, the draft law was rejected. Many economic analysts believe that reform in Iraq’s economy is not related to the removal of zeros from the Iraqi currency because what is happening in Iraq now is related to inflation, not zeros. “Zeros will not be removed from the currency because the budget of Iraq is highly dependent on oil revenue” Ismael Shukur, an economic expert and university lecturer told Basnews. Dr. Khalid Haidar, Economic Expert at Sulêmanî [Sulaimaniyah] University, emphasized that the economy of Iraq is not productive, and therefore, if the removal of zeros from ID takes place,www.Ekurd.net Iraq’s economy will be in a risky position and people will no longer value Iraq’s currency and will use USD instead. Dr. Haidar said such a move is not in the interest of Iraq nor the Kurdistan Regional Government (KRG). The first Iraqi currency was released in 1932. It has been changed often, the last time being in 2003 when the dictatorship regime came to end and Saddam Hussein was removed from power. By Shwan Barzinji. 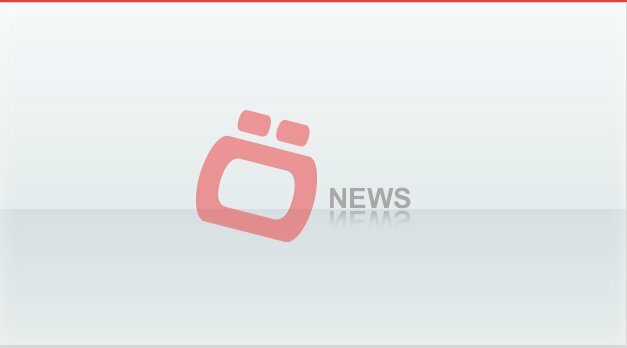 Published by Ekurd.net in cooperation with Basnews. BAGHDAD, Dec 13 (Reuters) - Iraq’s central bank denied on Thursday a plan to quickly revalue the dinar, saying a rumour had been spread by speculators. The Iraqi dinar has been gaining value slowly for months after the government announced a plan to gradually raise the exchange rate, now officially 1,210 to the U.S. dollar. But the past week has seen the rate on Iraq’s streets climb suddenly as high as 1,080. Rumours spread through Baghdad that the government was planning to suddenly move the official rate to 1,000 and perhaps remove three zeros to achieve 1:1 parity with the dollar. “An authorised source at the Central Bank of Iraq denies rumours that claimed the bank wished to value the dollar at 1,000 Dinars, or less or more, or change the currency denominations, or remove the zeros from the present currency,” the central bank said in a statement. Iraq’s Central Bank announced on Thursday that it is planning to delete the zeros from the Iraqi currency. This step is one of the bank’s strategic missions; the Central Bank said adding that the new currency will include the Kurdish language in addition to the Arabic language. “The zeros that were added to the Iraqi currency previously constituted a large money supply up to 28.500 trillion Iraqi Dinar and 5 trillion banknotes”, the adviser of Iraqi Central Bank governor Mothahhar Mohammed Saleh told Alsumarianews. “The Central Bank has prepared all requirements needed to delete the zeros from the Iraqi Currency”, Saleh said. “This step is one of the Iraqi central bank’s strategic missions. The monetary policy of the bank aims to structure and reduce the currency in a country moving towards an economic phase”, he added. “The project of deleting zeroes is complete. It will be submitted to the central bank’s administration in the next session. Then, it will be passed to the ministerial council before presenting it to the Parliament for vote. The mechanisms of changing the currency will be gradual. It will be preceded by awareness campaigns for citizens”, the adviser of Iraqi Central Bank governor said. “The new currency will be printed after deleting the zeros and will include the Kurdish language in addition to the Arabic language. It will bear as well photos of Iraq’s civilizations and patrimony in addition to symbols of Iraqi intellectuals and figures”, Saleh noted. On June 19, Iraq’s Central Bank Governor Sanan Al Shebeibi affirmed during the meeting of independent commissions with Prime Minister Nuri Al Maliki that the bank is preparing all requirements needed to replace the Iraqi Currency. Iraq’s Central Bank has four branches including Basra, Sulaimaniah, Arbil and Mosul. It was founded as an Iraqi independent bank by virtue of Iraq’s Central Bank Law issued on March 6, 2004. The bank is responsible for the prices stability and the implementation of monetary policy including exchange rates, the management of foreign reserves, the issuance of currencies and the organization of the banking sector. @claud39 wrote: When Will the Iraqi Dinar Be Revalued? Currency revaluation refers to a calculated upward adjustment to a nation's exchange rate relative to its chosen baseline. The process is undertaken by nations with fixed exchange rates to deliberately increase the value of its own currency relative to a single currency, a basket of international currencies or whatever the underlying baseline may be. Currency revaluation only occurs in fixed currencies, meaning the currency is pegged to a foreign currency, a basket of foreign currencies or a different quantitative benchmark. The process may only be undertaken by the underlying nation's government or policymakers. The act of altering the value of a nation's currency relative to other currencies is typically influenced by market pressures. A government typically revalues its currency when it wishes to increase the value of its currency relative to its benchmark currency. This maneuver would officially increase the purchasing power of the nation's residents, while decreasing the price of imports. Revaluation is the inverse of devaluation, which is the official lowering of the value of a nation's currency within a fixed exchange rate. Under this measure, the underlying government establishes a new fixed rate respective to the benchmark.